When you are challenged with the job of producing a Business Plan, it can be a rather daunting task. It is something that makes your palms get a little sweaty and the butterflies to start flying around in the pit of your stomach. You need a plan because someone has asked you for one. It could be a lender or a government agency or the landlord you are hoping to rent from. 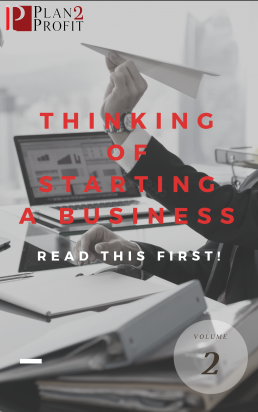 Whatever the reason, some entrepreneurs start searching to find a Business Plan template where they can just “fill in the blanks” and get it over with in a hurry. That is totally the wrong move. A Business Plan has to be a very personal thing. It has to be written by you and written specifically for your business. If you are going to put your life’s savings on the line, you better make sure that your plan is spot on. There is no room for error. So, if you take the easy and the wrong way out by downloading a template free from the Internet and filling in the blanks what problems are you going to face. Your Business Plan has to be your plan. It has to be written by you. It has to have your stamp on it. People will recognize very early on if you are using a template. Believe me; it is very obvious as it will not be singular. Templates are general in nature and your Business Plan has to be specific to your business. How do you generate revenue and what expenses do you incur that are different from the norm. Every business concept is unique – or should be – and it is essential that your particular concept is developed from the germ of an idea into a blossoming and successful business. A template will not help you go through the process of taking your idea and building it into an operating business. Templates can’t talk to you. The reader has to be engaged when reading the plan and he or she will not be engaged if it reads like the hundreds of other plans built from the same template; whether one that was downloaded from the Internet or picked up from the local business center. The Financial Forecast from a template will be general in nature when it has to be detailed and specific to your business and its activity. The Financial Forecast is the cornerstone of every plan and if it is weak, your plan will be weak. How can a template be set up to reflect what it is going to happen in your business? It has to show how you arrived at your numbers. A template does not allow for that. A template was developed by someone who saw it as their business model to make money. Is that what you want? You don’t need to make someone else’s dream come true you want to make your own dream come true. A template will not challenge your assumptions because it is not a living thing. It was probably developed by someone in his home office years ago. Can a template ask you why you think your idea is viable? Can a template offer suggestions as to how you could improve your business idea? No and No. So what is the answer? You need to find someone to help you develop and write your plan. When you choose the Plan2Profit Group, we will create a personalized and polished Business Plan specific to your industry and business. With a Plan2Profit Business Plan, you get your blueprint for success.